And start to get more players to your League, Tournament! There are THOUSANDS of local searches for "Sports Leagues" and "Sports Tournaments" each month. We are dedicated to driving traffic to your listing, helping to get you new players and teams. We allow you to list nearly any sport or sporting event for all age groups and experience levels! 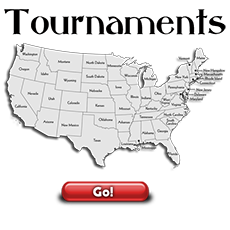 Start by browing to either leagues or tournaments using the maps below and choose your state. Next choose the sport you want to list. Use the Facebook comments tool to share your sport league or tournament.